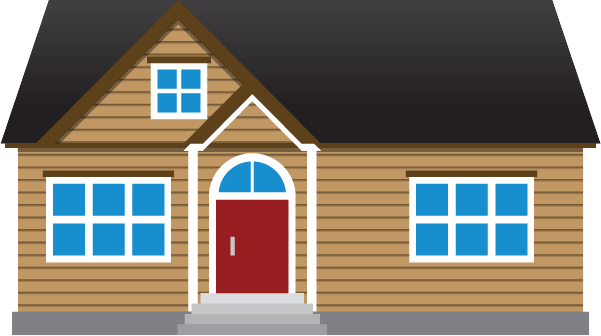 Siding Styles — MNH Construction Inc. The siding of your house is very important, most clients want a “one and done” approach to the exterior of their houses. They don’t want to repaint, restain or any of that. They want something that looks good on day one and for many years to come. And of course there’s the budget factor. This guide to exterior siding choices will help you pick one that goes the distance for your house. Probably the most common of siding choices, horizontal lap siding can be made from wood, aluminum, vinyl or fiber cement and can be finished in an unlimited range of colors. This siding choice is a natural fit for a colonial, or traditional-style, home as it works well with simple, boxy forms and symmetrical compositions. So whether your home is a stately colonial or a humble Cape Cod, you’ll find horizontal lap siding to be a good choice. Lap siding combined with board and batten on the same exterior can create a comfortable, rurally inspired look. Wood can also be used as a flat, horizontal siding. Sometimes installed in a tongue-and-groove configuration. The range of heights and colours available allows homeowners to choose the look and style of home they desire. Large sheets (often 4 feet by 8 feet) of fiber cement panels create a flat, uniform surface treatment with shadow lines that reveal where the panels meet. The aesthetic tends to be more contemporary but the same approach can be used in a Prairie-style home by placing battens over the panel joints. Available in natural or synthetic form, stucco is a great choice for exteriors with large surfaces and simple geometries. Though the texture can vary from fine to coarse, stucco is best suited where surface shadows should be minimized. Stucco is an excellent siding choice for many home styles, such as modern and contemporary, but it’s most closely associated with the Southwestern Spanish colonial style. Durable and requiring almost no maintenance, brick is an ideal siding material for many homes. It’s also available in many sizes, textures and colors, and it can be stacked, or laid up, in a variety of patterns. Though more closely associated with traditional designs, brick can be used on houses ranging from contemporary to Prairie and just about every style in between. Like brick, stone is durable and low maintenance. Available in a wide range of colors, textures and sizes, stone is adaptable to just about any aesthetic. Traditionally, naturally quarried stone was stacked in large, heavy pieces that were quite expansive to install. To reduce costs while keeping the look of stone, some manufacturers started making stone veneers, a man-made material that is pigmented and shaped to resemble stone. Not to be outdone, the stone quarries developed technologies to cut natural stone into thin veneers. The result is lower prices and a wider range of stone materials. Available in vinyl (polymer), wood (cedar) and fiber cement, shingles (also called shakes) are well suited for traditionally designed homes. Cedar shingles are commonly used to accent areas of the exterior of your home to give it that unique aesthetic appeal. Using multiple siding options can give your home the desired look your after. The example here combines Shingles at the top, Horizontal Lap Siding in the mid-section and a Stone accent along the base of the house. Another thing to remember is that the front of your house is the focus. Using less expensive materials along the sides of your home keeps costs down and increases your curb appeal.